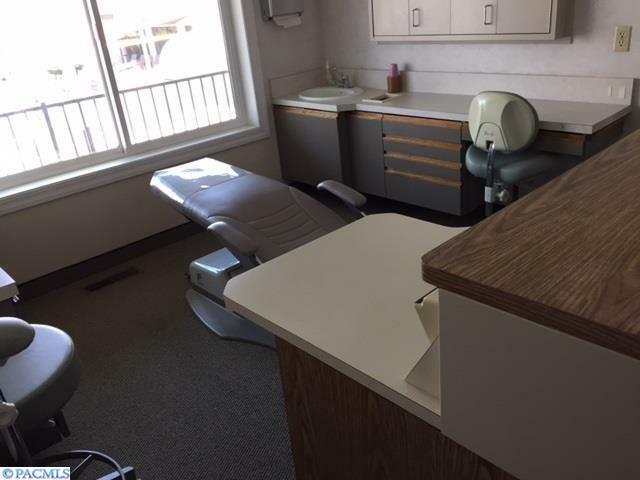 Dental office for lease (could be converted to medical or professional). 5 operatories, reception area, client restroom, staff restroom, lab, sterile room, dark room & office. 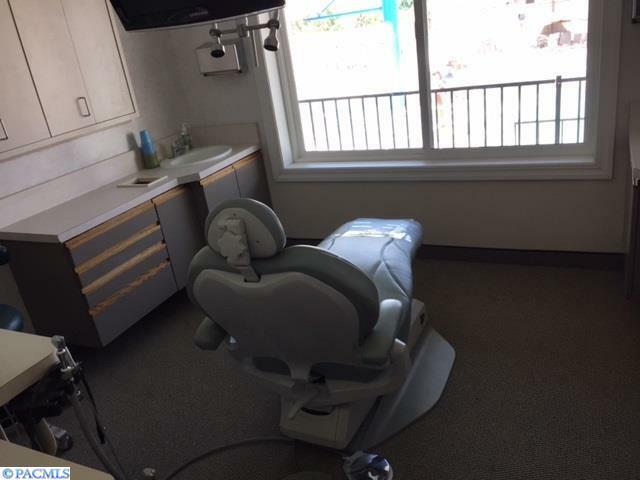 4 of the 5 operatories are equipped with dental chairs, delivery equipment, x-ray, TV's & Nitrous. Owner willing to do some upgrades. 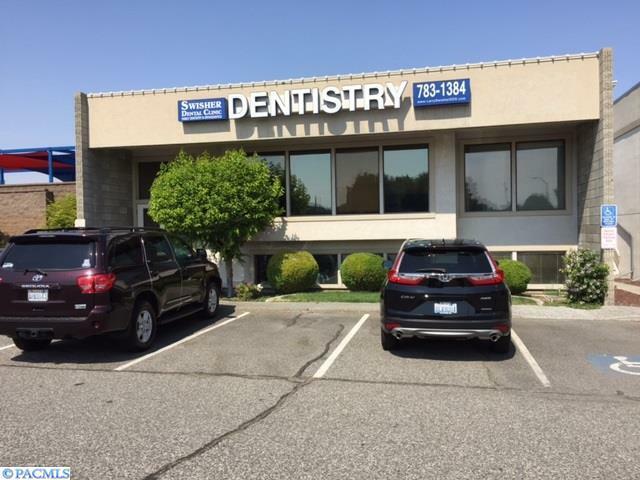 This building has two dental suites-one upstairs and one downstairs. Upstairs is available. 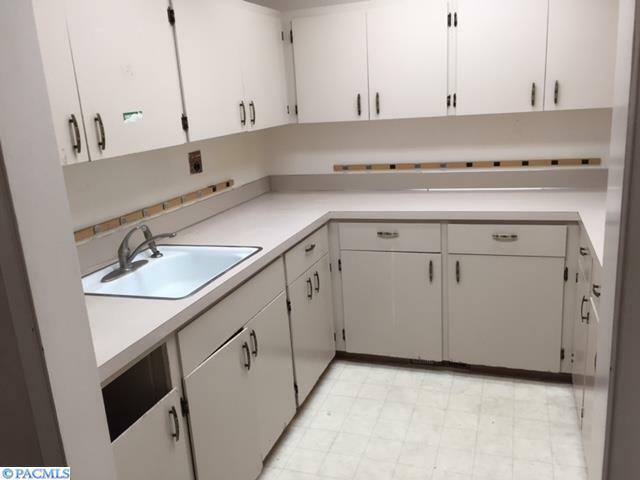 Tenant only pays electricity, telephone, internet, Nitrous (if used), in addition to rent. Landlord pays, water, sewer, garbage, CAM, property tax and insurance. Lots of traffic, as location is adjacent to Tri-City Court Club.